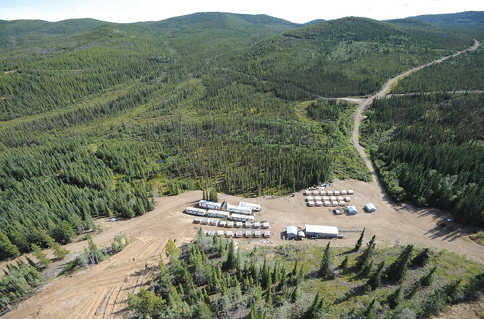 Copper North Mining has completed a new preliminary economic assessment (PEA) of its open-pit Carmacks copper-gold-silver project on the southern end of the Dawson district in south-central Yukon, Canada. The new PEA improves on and replaces an earlier PEA completed in June 2014. The Carmacks project in Canada’s Dawson district will pursue tank leaching in favor of heap leaching. The re-engineered project utilizes agitated tank leach processing of copper oxide mineralization to produce cathode copper, followed by agitated tank leach cyanidation and carbon-in-leach (CIL) processing for recovery of gold and silver in doré. The 2014 PEA was based on heap leaching for copper recovery, followed by gold and silver recovery by cyaniding of the copper leach residues. Copper North CEO Dr. Harlan Meade said, “The use of agitated tank leaching provides for high recoveries of gold alongside the leaching of copper. The application of agitated tank leach technology has also reduced operating and environmental risk, compared to the previously proposed heap leach of copper. 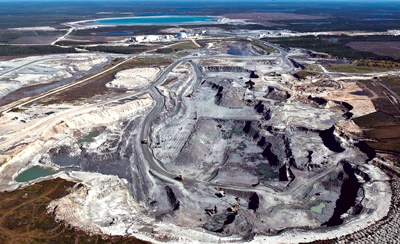 The Carmacks project PEA assumes a seven-year mine life, producing an average of 30 million lb per year (lb/y) of cathode copper, 19,500 ounces (oz) per year of gold, and 21,600 oz/y of silver. Pre-production capex is estimated at C$214.7 million. Next steps for the project include preparation of a prefeasibility study, ongoing engineering in pursuit of capex and opex reduction opportunities, and expansion of mine life by adding another three years of new oxide mineral resources not included in the PEA. Canadian Zinc and Buchans Minerals, a wholly owned subsidiary of Minco Plc, have reported initial results from a process development research program that may lead to development of a centralized concentrator for their respective central Newfoundland zinc-lead-copper-silver-gold deposits, five deposits in total. The initial metallurgical test program was completed by Thibault & Associates Inc. of Fredericton, New Brunswick. A bench-scale dense media separation (DMS) test program was completed to assess the amenability of mineralized samples from the deposits to physical upgrading (pre-concentration) at each site. Use of DMS processing technology would provide a potential means of reducing transportation costs from the mine sites to the flotation concentrator and of maximizing head grade and reducing downstream processing costs. An economic assessment of processing ores using DMS technology is in progress to determine if there is a net benefit in reducing the mass of ore to be processed compared to the loss of payable metals to the waste product. Preliminary bench-scale test results also confirmed that selective zinc, lead and copper concentrates can be produced at marketable grades using a common flotation flowsheet. The positive results from these tests support the development of sequential flotation technology and a flowsheet for processing of the deposits using a centralized processing facility. The research project initially focused on four volcanogenic massive sulphide deposits on the south side of Red Indian Lake. Two of the deposits are held by Canadian Zinc, and two are held by Buchans. In June, the research program was extended to include Buchans’ Lundberg copper-lead-zinc-silver deposit on the north side of Red Indian Lake. The metallurgical test programs are being followed up with development of a process simulation and cost assessment model to evaluate and identify the key factors impacting the operating economics of a centralized processing plant. The overall Canadian Zinc/Buchans research programs are being partially funded by the Research & Development Corporation of Newfoundland and Labrador through its industry-led GeoEXPLORE program.